Trading centre provided for new town. Having commenced the story in the middle and glanced at the finish to see the happy ending it would now be appropriate to look at the opening chapter of the story and see how it began. 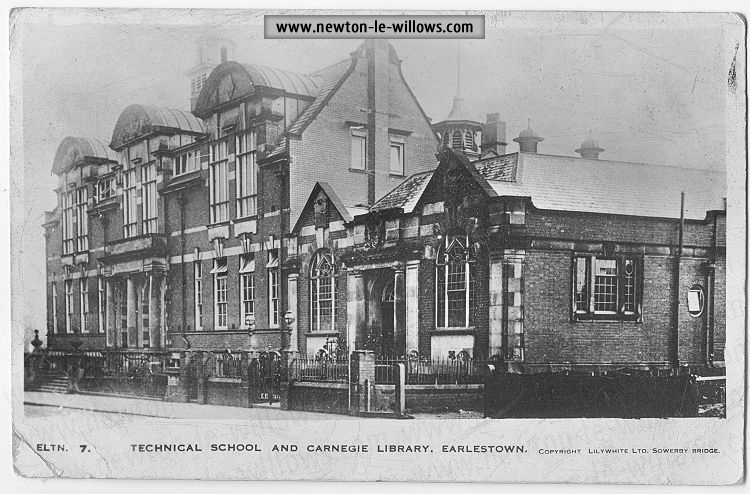 From very remote times Newton-in-Makerfield has held a very important position. 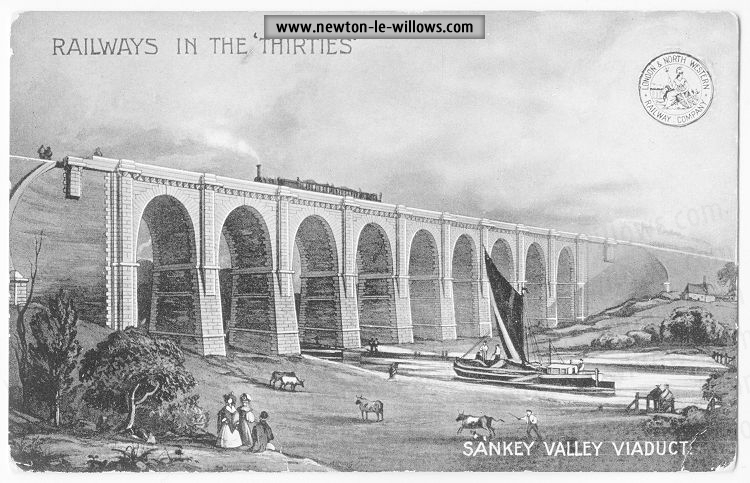 It stands on the northern road between Warrington and Wigan and about the same distance from both. 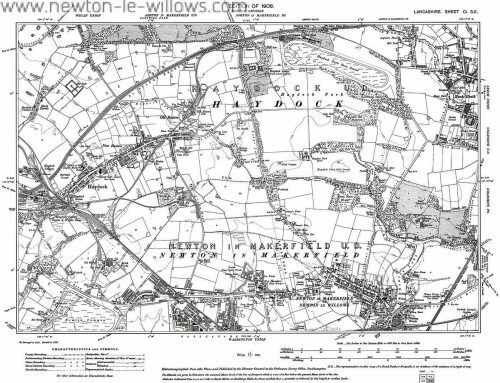 In the days when Saxon kings ruled over the island it was the head of a hundred, and when, after the Conquest, the fee of Maker-field was established Newton retained its premier position, and became the seat of the feudal lord. Even then it had been a borough so long that nobody knew when it was made a borough. 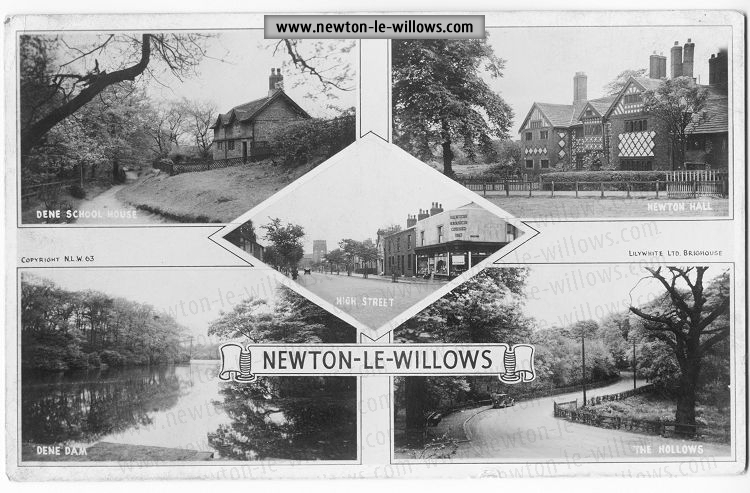 Of course, there were a good many new towns springing up in the country from time to time and so our new town was called Newton-le-Willows because of the lake ,surrounded with willow trees which was just outside the border. 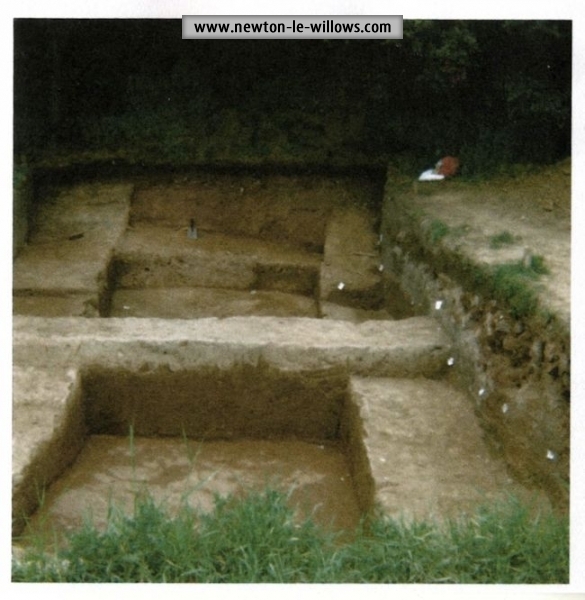 When the Saxon kings were on the throne, Newton was the demesne of the King. How long William the Conqueror or his successors held it I do not know, but Henry II. either granted or confirmed it to Robert Banastre, together with other lands in the district. So far we have no mention of a market, nor it is mentioned until nearly another century has passed over, and Richard I. and John have passed over avid given place to Henry III. This monarch, in his reign of 56 years, granted more market charters than any other on record. One thing, he had a long time in which to do so, and secondly, our sovereigns had by that time made the granting of charters a profitable business for their exchequers. So in 1258, when Robert Banastre, who was the fourth baron of that name, was lord of the manor, the king granted him a charter giving him the right to hold a market every Saturday, and an annual fair in Newton. This Robert “went on” and was succeeded by his son and grandson, and with him the male line failed. His daughter seems to have had two husbands, the second one being John Langton, and it is during his regime that we get our second and apparently last charter for the market and fairs. This event occurred in 1300-1, when Edward I ruled, and this monarch granted to John de Langton the right to hold a market every week on Saturday, and two fairs annually. The first of these was to be held on the eve, day and morrow of the feast of St. John ante Portum Latinum (May 6th) and the second at the festival of. St. Germain. 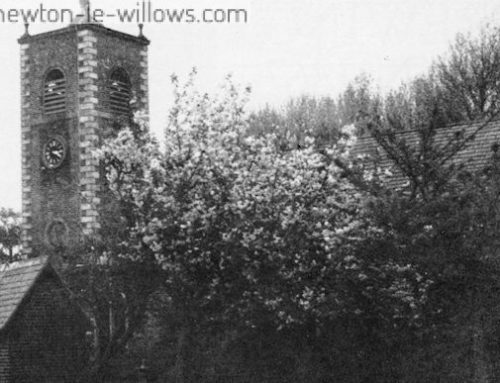 Time marches on, and Langton succeeded Langton in the ownership of the fairs and market for nearly 300 years, and then once again the male line failed, owing to the fact that the sons of the Langton of that day predeceased him. The estates descended to his daughters, Newton falling in the share of Johanna, who, was married to John Fleetwood, whose son became the first baronet of that name. At last, after being owned by descent for about 500 years, the market and fairs changed hands by sale, for in the early years of the 18th century Sir Thomas Fleetwood sold the manor with all its appurtenances to the Legh family, but this was really only a temporary alienation, for a little while afterwards Thomas Legh married the heiress of the Fleetwood family. During all these centuries there are but few references to either the market or fairs. Leland, the historian of Henry VIII, writing about 1536 and describing the town calls it “a little poore market,” and hi 1594 there is a reference to the fair which deals principally with the prices of horses. 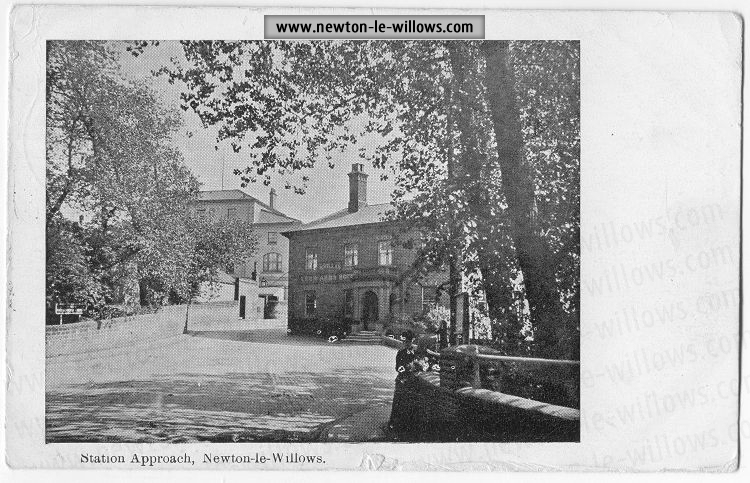 For many centuries Newton carried on its proud position as the head of the fee, and we may imagine that during this period its market was an important one, but as the power of the feudal barons declined its importance would diminish, as the castle fell into ruin and decay the market also suffered. 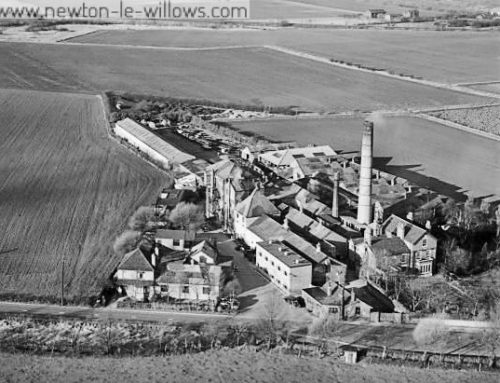 Probably another reason for the languishing of the market was the industrial growth of other towns in the neighbourhood, for industry seems to have been a little late in penetrating to this district, and finally about 1824, the market fell into disuse. 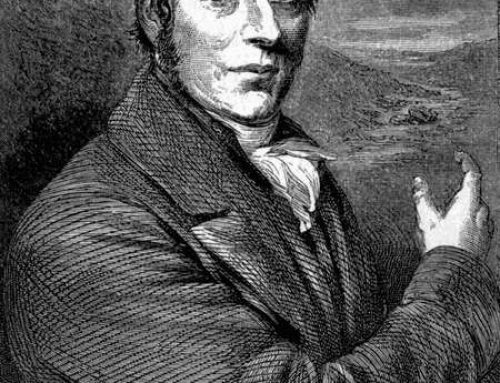 The fairs did not suffer quite so much as the weekly market, for Edward Baines, writing in 1836, tells us that two fairs were held, one on May 17th and 18th, and the other on August 11th and 12th. But even the fairs had suffered in some measure for two other fairs, those of February and July, had been discontinued, as had the fortnightly cattle fair. It is often said that coming events cast their shadows before them, but in this case Newton again proved to be the exception to the rule, for the forecasting of the discontinuance of the market was the ceasing of the casting of a shadow. Baines tells us that the Market Cross was taken down in 1819, but unlike many other removals this was not the end of this structure for we shall hear of it again. 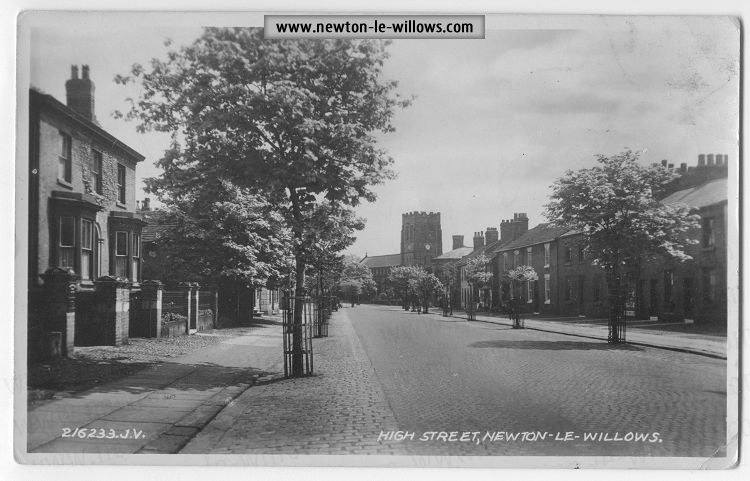 After a first look over Earlestown Market on the occasion of my recent visit, I was taken to Newton-le-Willows, where I tried to visualise what the market looked like. I have since seen a description of the spot where the market was held, written by Dr. Kuerdon in 1695, and with few changes it almost exactly describes the place as it still is. 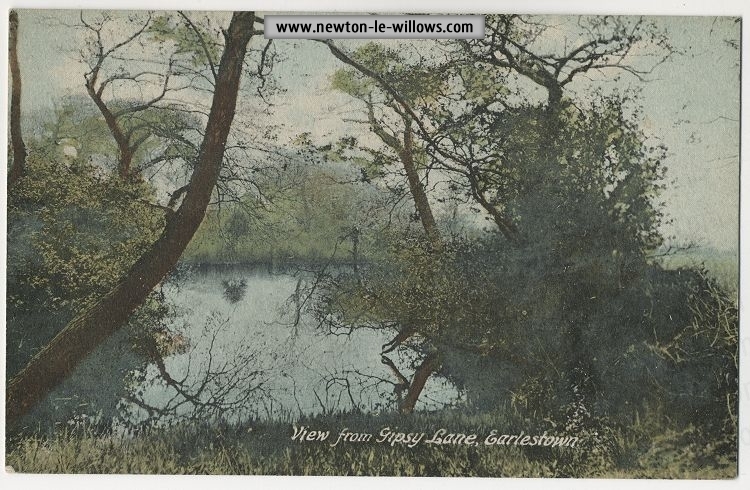 After mentioning some other points of interest he continues, ” …… On the left hand, close by a water mill, appear the ruins of the site of the ancient barony of Newton, where formerly was the baron’s castle. 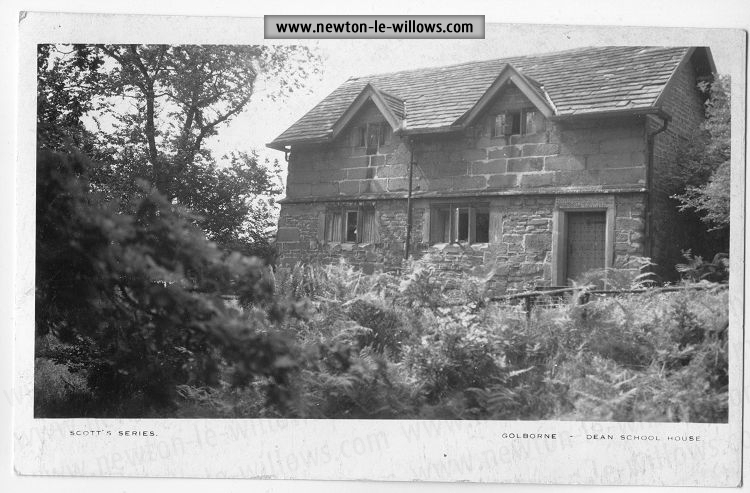 Having passed the bridge you ascend a rock where is a pinfold cut out of the same, and upon the top of the rock was lately built the court house for the manor, and near to it a fair re-edified chapel of stone, built by Richard Legh, father of the present titular baron of Newton. There stands a stately cross, near to the chapel well, adorned with the arms of the baron.” In a sentence, it was the religious, civic and business centre of the town, and the stately cross to which reference is made was the market cross which stood inside the churchyard, as also did the stocks. It was, and is, a handsome structure standing on three steps, the shaft being a model of Cleopatra’s Needle. As it bears the arms of the Legh family, we may assume that when it was taken down in 1819 it had been up about 100 years. From this civic corner a fine view of the splendid ancient High Street is obtained where the fairs were doubtless held in the olden days. At the further end stands another monument to the market of the last century, but to tell of this I must pass on a few years after the market had been discontinued. 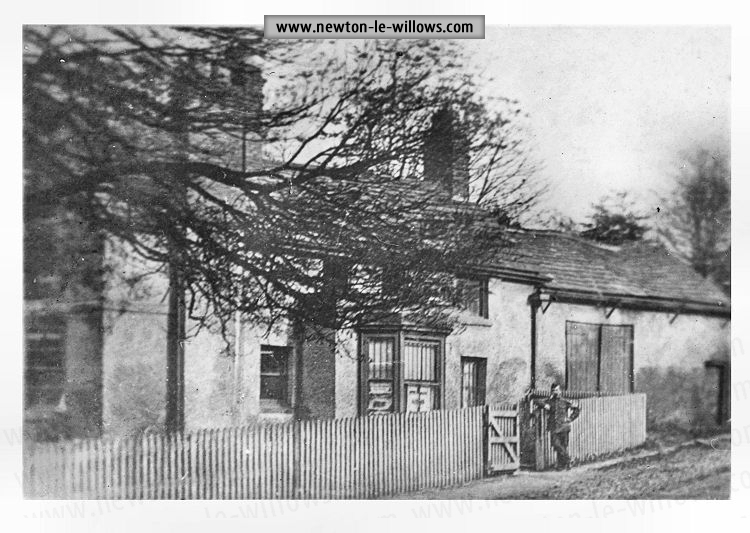 The tide of industry swept on until it began to embrace Newton, Cotton spinning, crown glass, iron founding, and vitriol works were established, and in 1840 an attempt was made to revive the market, but with the difference that a market house was erected, or to be correct, re-erected. The market house was not a new building and had seen previous service as the lodge and entrance gates to Haydock Park. The structure has two wings, one which was used as a butchers’ market and the other with stalls for general goods. It was constructed of stone of a warm reddish colour and over the entrance the Legh arms are sculptured. But the market did not prove to be a success and after a short time was discontinued. The Market House is now attached to a nursery, one wing being fitted up as a residence. The Lord of the Manor also attempted to revive the horse fair, which had died out, unfortunately the date clashed with that of Ormskirk and the first attempt in 1842 proved to be very disappointing. The fairs were a great occasion in the life of the town, one of the principal features being the “Procession of the Grey Cloaks,” which consisted of the Steward of the Manor, the assistant overseers, and the farmer tenants of the lord of the manor in long braided coats adorned with silver, and carrying halberds in their hands. 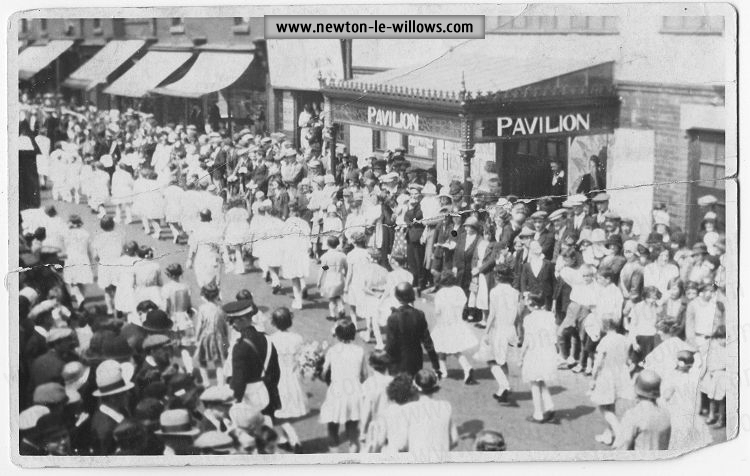 This procession started from the “Oak Tree” after the fair had been proclaimed, went along High Street to the Obelisk, where the proclamation was read again. The years rolled on and the railway came to the district, and on the flat fields just outside the old town the railway company erected wagon works, and a new town sprang up round them, which took its name from Mr. Earle, the manager of the wagon The years rolled on and the railway came to the district, and on the flat fields just outside the old town the railway company erected wagon works, and a new town sprang up round them, which took its name from Mr. Earle, the manager of the wagon works. This gave the necessary fillip and from that time its progress has been continual, the population rising from under 4,000 in 1841 to 16,000 by the end of the century, and it is still growing, for it now numbers 20,700. The growing town needed its own local government and a board of Commissioners was established in 1863, which existed until 1894 when an Urban District Council took over the reins. Seven years after its establishment the Board revived the market, so we may safely assume that the consideration of and preparations for the opening were among its earliest deliberations. 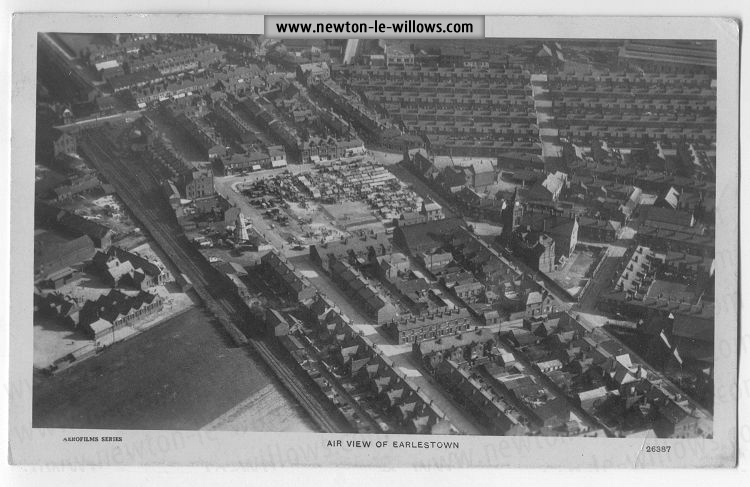 This attempt to revive the market was not made in the old town but in the new part which had grown up round the truck works and known as Earlestown. 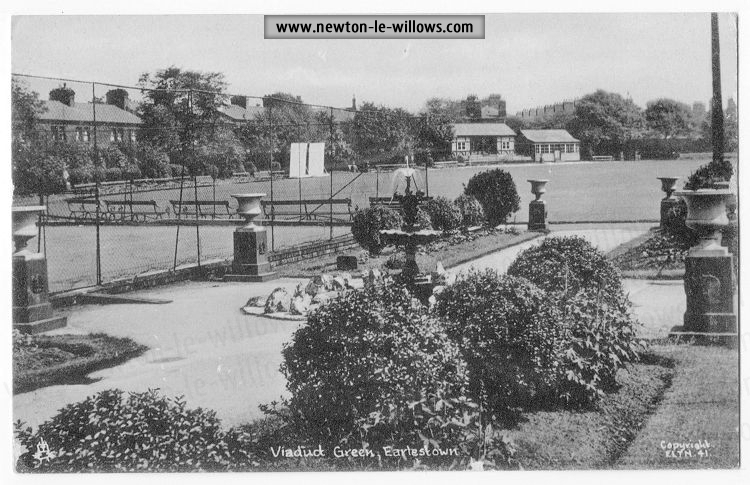 A large area of ground covering nearly 10,000 square yards was leased from the Trustees under the will of Thomas Burnaby Legh and William John Legh for the purposes of a market for 999 years from 1870 at an annual rent of £5, also all the fairs and markets held in the township under the charter of Edward I. The market day was changed from Saturday to Friday. 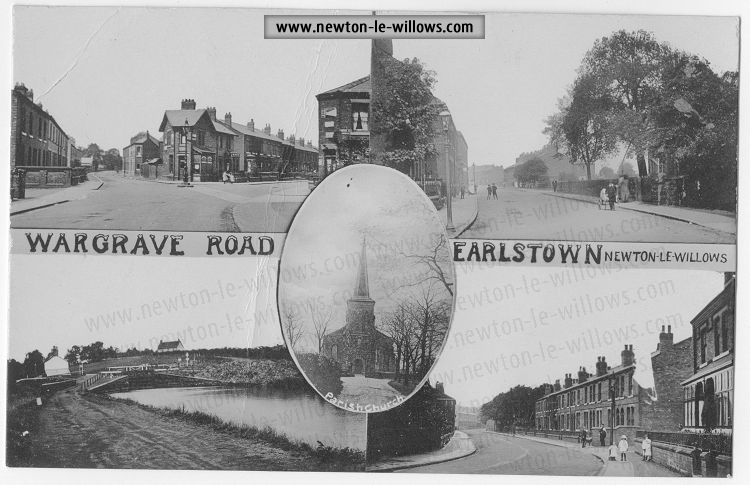 Earlestown had not been entirely without market facilities up to this time, for a few stalls and occasional shows had been pitched on a triangular piece of land in Queen Street adjoining the railway and on waste land where the roadway leads over the bridge from Earle Street. Was the new market a success? Let the following figures tell their own story. For the first eight years the Commissioners leased the market. 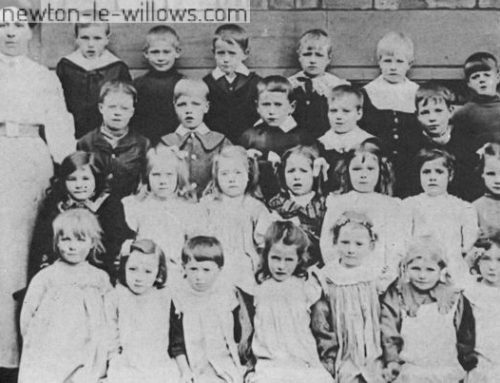 In 1871 it was leased to Mr. Price for £20 10s. per annum for two years; in 1873 it was leased for three years to Mr. John Elliott for £42 per annum; and in 1876 again for three years to Mr. George Bailey for £40 10s. per annum. When this lease expired in 1879 the Commissioner„ decided to discontinue the practice of leasing , the market and to manage it themselves. The first Market Inspector was Mr. John Crabtree who held the post until he resigned in 1891. 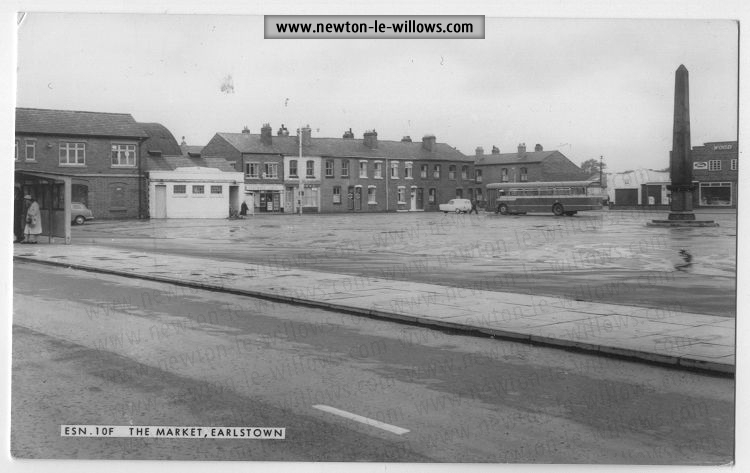 Earlestown’s Market Square is situated in Market Street, almost under the shadow of the Town Hall, for the civic centre has moved to the newer portion of the town. It has roads on all its four sides and the area devoted to the market covers 8,000 square yards. In the centre stands the Market Cross which was re-assembled here in 1870 when the market was opened, thus forming a link with the past. Round this are congregated the 100 stalls which are occupied every Friday by stallholders from all parts of the surrounding district for many miles. When I was there a portion of the market was slightly disarranged from its usual order as a direct consequence of the international crisis an illustration of the fact that it has affected all walks in life. 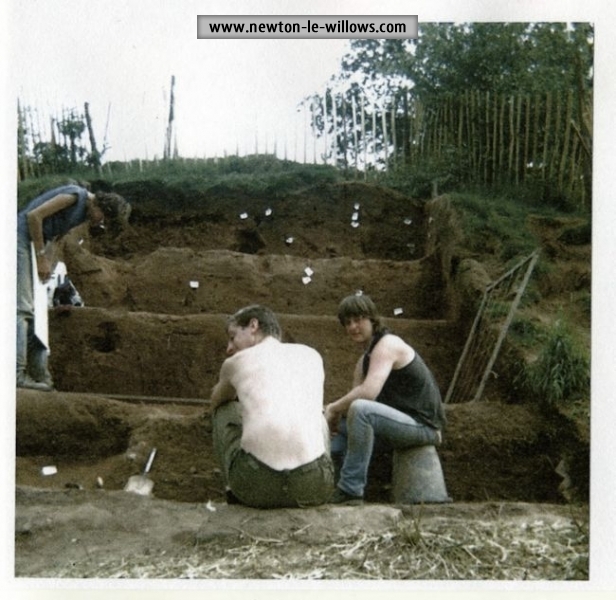 The fairs are usually held on an open piece of land over one of the roads, but during the crisis this was used for the purpose of making trenches and so the fair has been accommodated on the market. 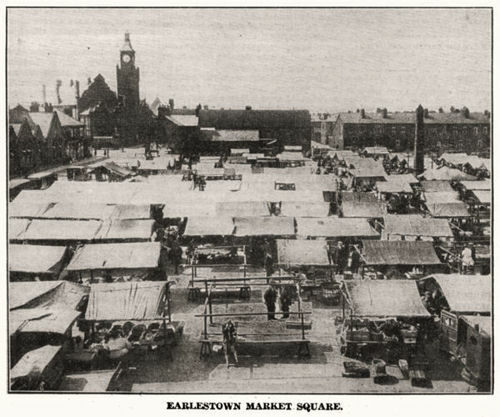 The larger part, that being nearest the Town Hall, was unaffected and here were arranged 13 rows of stalls, one being parallel to Market Street and the others being diagonal to it. Over by the Cross were four rows parallel with Market Street, which, however, did not extend all the way across, but until they reached the first of four rows in the opposite direction. The market ground is very clean and nice to walk on for it was entirely re-laid with concrete in 1929 and is in excellent condition. Lavatories also were erected. at the same time, so that everything has an air of modernity, except the old cross. The rent of the stalls varies according to size. A 12 feet stall is 6s, for the day, a nine feet 4s. 6d., while a square stall is 5s. This is for the ground and the stall. Covers and lights are the tenant’s own concern. The market is held every Friday and begins at 2 o’clock, lasting until 8. On other than market days the square is used as a car park. The Market Superintendent, Mr. Lennox, has had a long experience of the market for he began his duties there as Collector under the former superintendent, Mr. Ashcroft, who was super for 30 years until his retirement three, years ago. 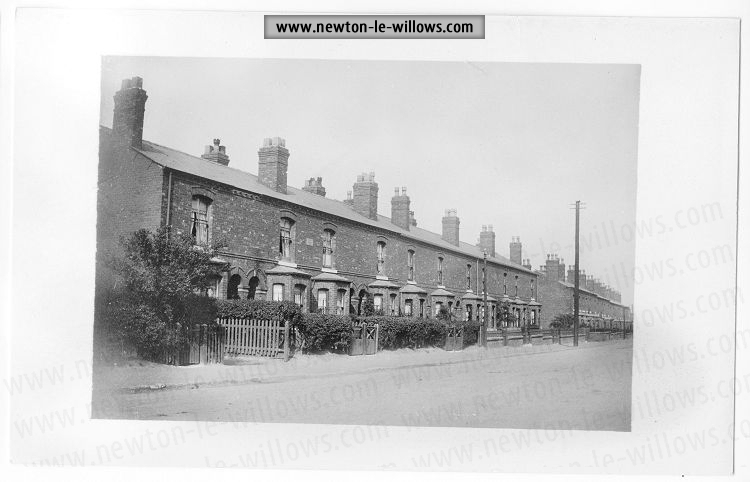 Mr. Lennox’s duties as Market Collector extended from 1921 to 1927, when he was appointed Collector for all accounts and rates due to the Council, and he is responsible for the housing estates accounts. When Mr. Ashcroft retired three years ago, Mr. Lennox was appointed Market Superintendent in addition to his other duties. At the same time Mr. E. G. Aldred was appointed Market Inspector. The market is controlled by the Health Committee, the chairman of which is Mr. T. B. Ball. He takes a keen interest in everything appertaining to the market. The income of the market for the year ended March 31st, 1938, was £1,355, and the expenditure (including loan charges), £1,234, leaving a profit of £121. The loan charges which amounted to £500 in 1937-1938 run out during the current year. This article version is transcribed by and Steven Dowd©2007, It was supplied for use at the website By one of the forum users ‘Podstar’, and transcribed from scans of the original material.